Abbie Burt Betinis (b. 1980) is one of the leading composers of 21st-century American choral music. At only 36 years old, her compositional output is wide and varied. It is clear that Betinis is now creating her own distinct and secure place in the choral repertoire, an observation highlighted in a 2009 issue of International Choral Bulletin dedicated to the work of young people. 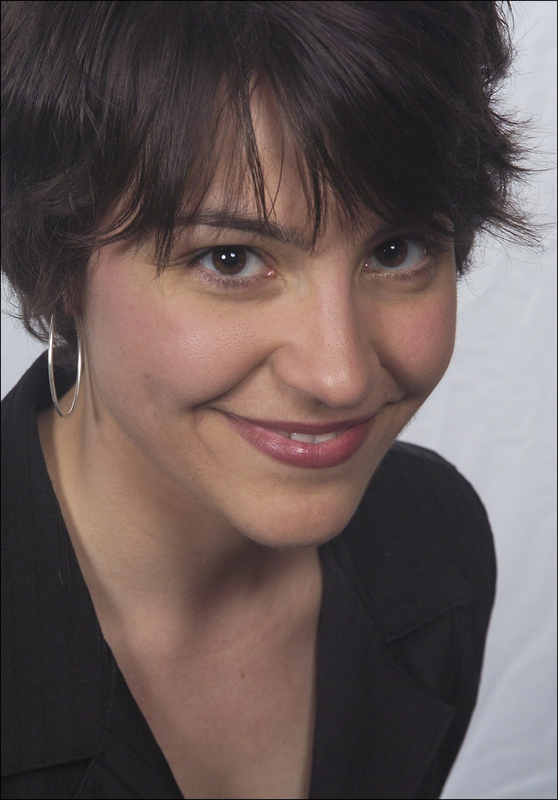 A two-time McKnight Artist Fellow, Betinis is Adjunct Professor of Composition at Concordia University-St. Paul, is composer-in-residence for The Schubert Club (a post she has held for 12 seasons), and has a catalogue spanning over 60 commissioned works. The New York Times describes her music as “inventive [and] richly melodic.” Matthew Culloton, director of The Singers, an internationally renowned choral ensemble in Minnesota, has said, “the music of Betinis…is worthy of consideration because of its originality, degree of compositional craft, and musical sincerity.” She is no longer an “emerging” composer, but one whose career now belongs to the same tradition as Dominick Argento, Stephen Paulus, and Libby Larsen. Betinis was raised by a musical family in Amherst Junction, Wisconsin—situated amidst farms and forests about 20 miles southeast of Stevens Point. At the age of three, while singing a canon in the car with her family, she proudly held her own part—an event that is fondly remembered as a “coming-of-age” experience in a family abounding in musical tradition. Her published catalogue includes five stand-alone canons: Be Like the Bird (5-part, 2009), Come In, Come In! (4-part, 2011), Lumen (up to 4-part, 2012), Morning Round (4-part, 2013), and Table Grace (up to 8-part, 2007). At first glance her canons are quite simple, but further inspection will reveal something more complex; such canons can serve as surprisingly moving concert pieces. She encourages performers to explore alternative performance designs. One such canon, for example, comes with an assortment of suggested maps. 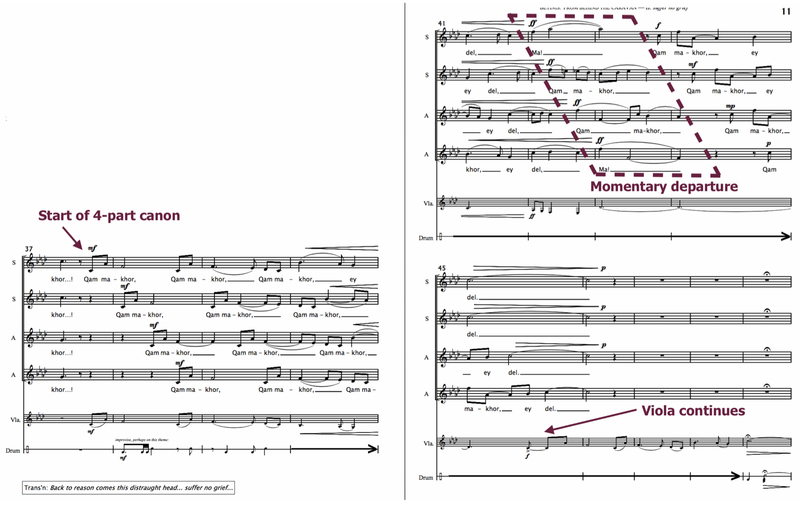 Some direct singers to begin two measures apart—as one would perform Row, Row, Row Your Boat. Others allow the piece to build from unison to 3-part, to 5-part. Additional recommended maps indicate measures of rest that create a product more akin to Steve Reich’s Phase Patterns than what one might expect from a traditional round. In the hands of Betinis, a canon is a much more complex and aurally stimulating art form. “A canon is a melody that is its OWN harmony. You can’t sing a canon by yourself (live, anyway) and hear all of its harmonies. You need to sing it with other people to really hear how the melody creates its own support system of pitches and rhythms. I thought that was the perfect metaphor for getting through rough times. I think we each have our own melody in this life, something unique to us that we can offer the world – but sometimes that melody is hard to hear when life gets hard. Sometimes we need our friends to come in, one at a time, and sing that melody too, so we can hear how strong it is and it can lift us up. Or – like the words say – it can give us wings. Other works in Betinis’ catalogue have less obvious examples of canon, but incorporate the form in large episodes. 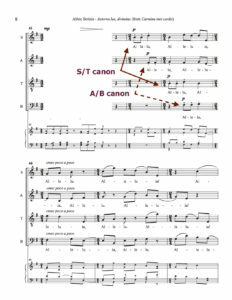 The first movement of Carmina mei cordis (SATB, 2004) includes a complex double canon. In this instance, the soprano and tenor lines present the same melody two beats apart; while alto and bass lines offer a counter-melody that begins on the intermittent beat (EXAMPLE 1). 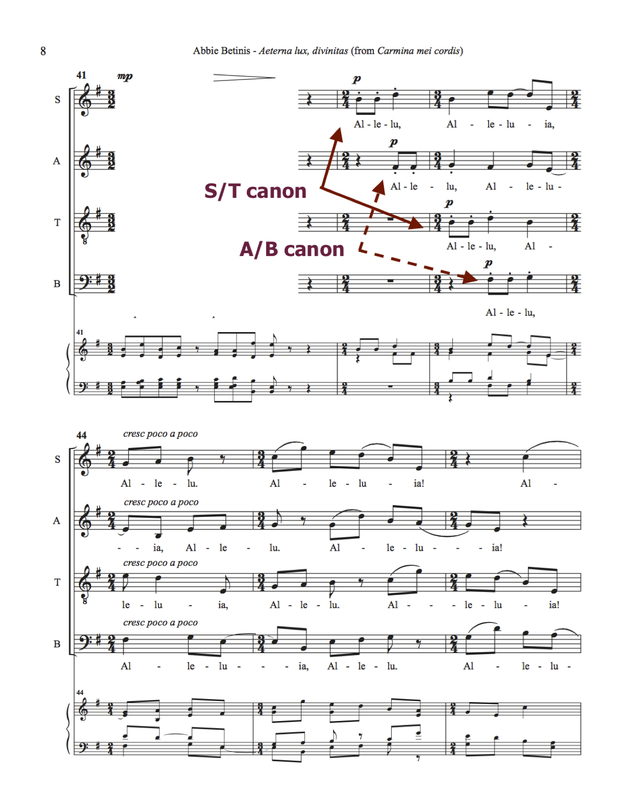 Extended canonic episodes can also be found in Psalm 126: A Song of Ascents (SATB, 2003), Bar Xizam (SATB, 2007), Spell of the Elements (SATB, 2007), Chant for Great Compassion (SSAA, 2008), and, most recently, Betinis’ exquisite ACDA commission A Blessing of Cranes (SSAA, 2015) which sets the text “Never a thought of thinking, only this weaving…” and illustrates an elegant theme of communal healing. One of Betinis’ most powerful and well-known works is From Behind the Caravan: Songs of Hâfez (SSAA, 2007). Of this work, Betinis stated, “A canon is the perfect compositional technique for a lot of this poetry.” In the second movement, for example, Betinis uses canon as a way to depart from the structure of the original ghazal text and prolong its poetic meaning as a four-voice canon occurs on the text Qam ma-khor, ey del (Suffer no grief, O heart). Betinis’ compositional skill is most evident when, even in the middle of this canon, she incorporates a second level of departure. A nod to Sufi mysticism, the outer voices utilize a textless sigh, connecting themselves once again with the divine power, further deepening a level of grief, while all voices engage simultaneously in thematic material not part of the original canon (EXAMPLE 2). At this moment, it is clear that the choir empathetically wraps the listener in an aural blanket of comfort—soothing the grieving heart. Obvious examples aside, canonic-like figures can be found in much of Betinis’ repertoire. Such examples include: Songs of Smaller Creatures (SATB, 2005), In the Bleak Midwinter (SATB, 2006), and The Mirthful Heart (SSA, 2012). Furthermore, throughout her entire catalogue, one can observe a significant amount of voice-crossing—a side effect that stems from such immersive work in canon and canonic-like devices. Works by Betinis are rife with such instances. 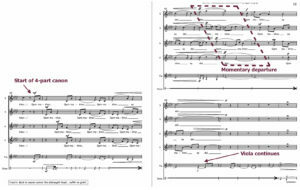 A conductor less familiar with Betinis’ writing style might be tempted to ignore elements of voice crossing and, subsequently, make adjustments to the score. However, one must understand that Betinis’ use of voice-crossing is highly intentional. 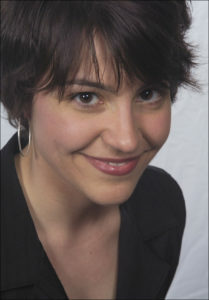 While studying on scholarship at the European American Musical Alliance in Paris, France, Betinis developed a compositional vocabulary and distinct understanding of counterpoint that particularly affects her choices regarding voice leading techniques. It is displayed in a style of writing she learned there: single-voice counterpoint—the idea that an audience hears in stepwise motion, and that any break larger than a major second draws the listener’s ear to the beginning of new melodic material. Composing in this manner results in frequent, intentional voice-crossings. Such crossings, while they may be considered awkward at first, are to be observed whenever possible. Betinis, a singer, is deftly conscious of vocal colors that result from tessitura and placement. With canons, canonic-like devices, and the side-effects of such practices replete throughout her repertoire, any singer or conductor approaching Betinis’ music must understand the deeper meaning behind such mediums. Further discussion concerning the texts in each of these instances is also warranted. For now, suffice it to say that Betinis is an inventive composer whose use of canon is deliberate, often text driven, and always sincere.